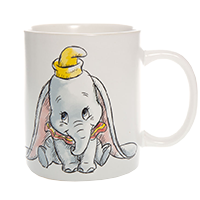 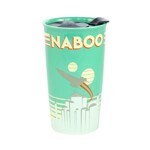 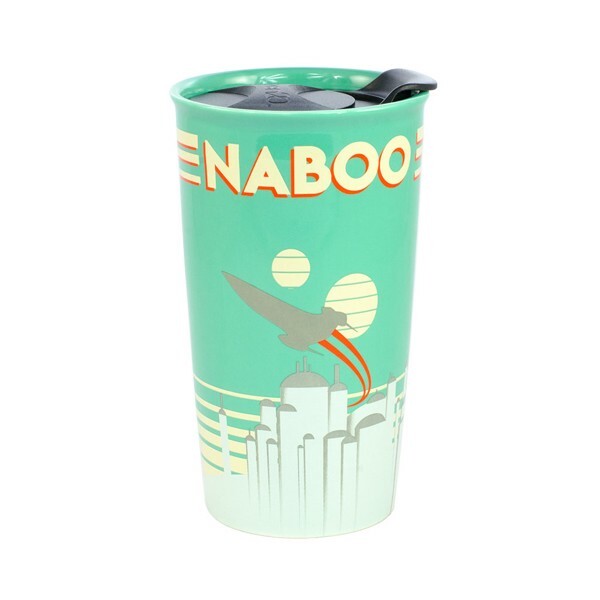 You don't have to journey to the Outer Rim to get this Star Wars Naboo ceramic travel tumbler mug! 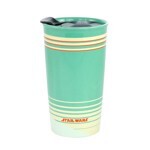 Worthy of both humans and Gungans alike, this mug features an aqua exterior with a retro graphic silhouette design of a Starfighter and Theed city! 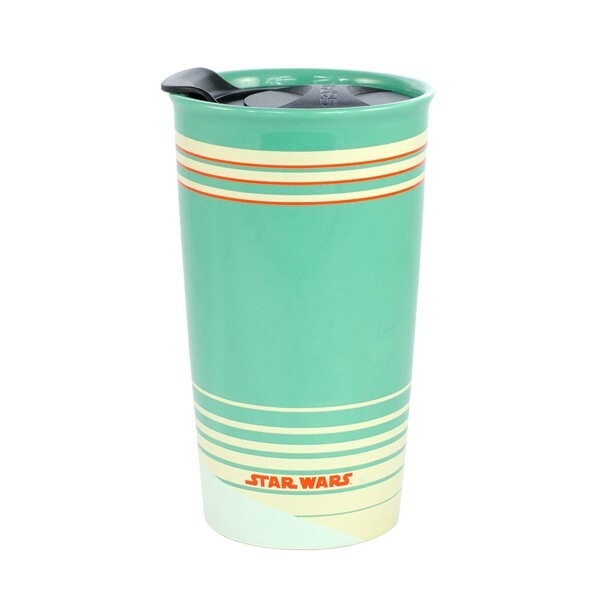 The double walled lidded mug keeps your beverages warm everywhere you go - Tatooine, Endor, a Death Star or wherever!